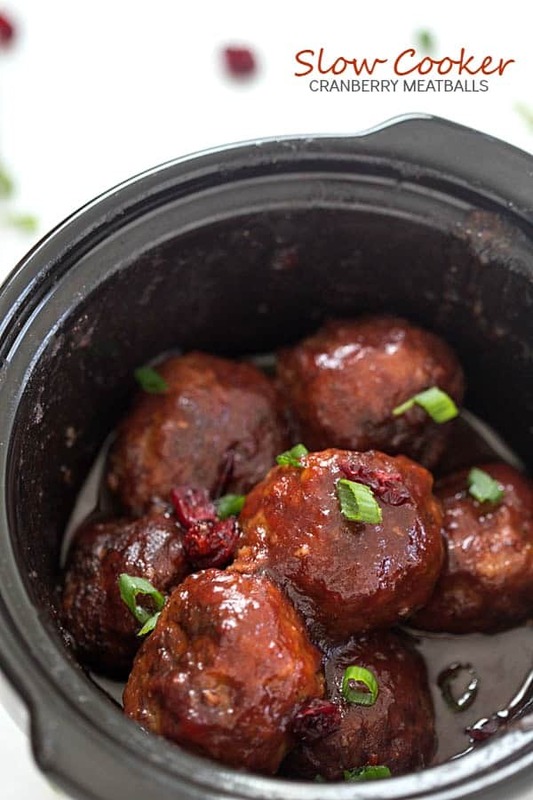 Slow Cooker Cranberry Meatballs – The perfect appetizer for the holidays! So good, they will be gone before you know it! Who knew cranberry sauce plus other ingredients combined could make the most flavorful meatballs ever? The other day, I would have told you, “You are lying. No way!” And today I am coming to tell you, you must make these meatballs soon! Either for Thanksgiving or dinner or whenever. Just make them! If you aren’t a cranberry fan, trust me, jellied cranberry sauce freaks me out. I go not go anywhere near it, but somehow it’s amazing in these meatballs. Not only are they so tasty, but they are incredibly easy. Today I am at Real Housemoms sharing this fantastic holiday appetizer!